The forts and castles of Ghana form a unique memorial to a precolonial period when representatives of European trading companies bartered as equals with African merchants. It was a colourful episode of world history spanning four centuries, from the fifteenth century Portuguese voyages of discovery to the beginings of the imperial epoch. This books traces the history of more than fifty forts, castles and trading posts built on Ghana's coasts by various European nations. Each entry is accompanied by a descriptive guide and black and white illustrations. 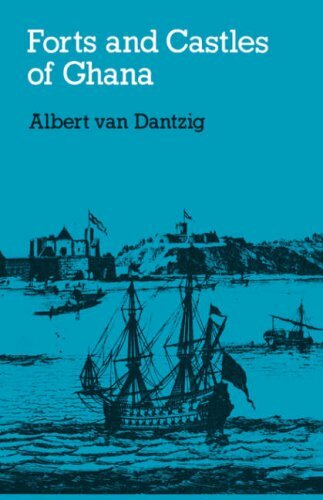 Albert van Dantzig, originally from Holland, has lived in Ghana since 1963 and is the senior lecturer in history at the University of Ghana, he is the author of two previous books; The Dutch Participation in the Slave Trade and The Dutch on the Guinea Coast, 1680-1740.